The future is here…in the form of a chair. That’s right, the Altwork Station allows users to sit and stand in any motion they please. Here’s 5 reasons why you’ll want to buy the Altwork Station. I mean come on, the chair can rotate 135 degrees! This workstation offers four modes, all configurable with buttons on the desk surface; standing, collaboration, regular and focus. The focus options is where this desk stands out as the workstation completely reclines rotating to a 135 angle. I didn’t list price because this thing is cheap, it cost $5,900 to buy, but the first batch will be sold for only $3,900, which is a great discount. And for what it’s worth, this isn’t just a normal chair, it’s a chair from the future. Comes with a five year warranty as well. The Altwork Station was designed to hold multiple screens, up to 4 screens is the max. Side mounts will also be available so that users can have a stop plus a larger monitor which stays attached to the workstation. Normally furniture options such as this don’t come in various color ways, but the Altwork Station has an assortment of color options to choose from. 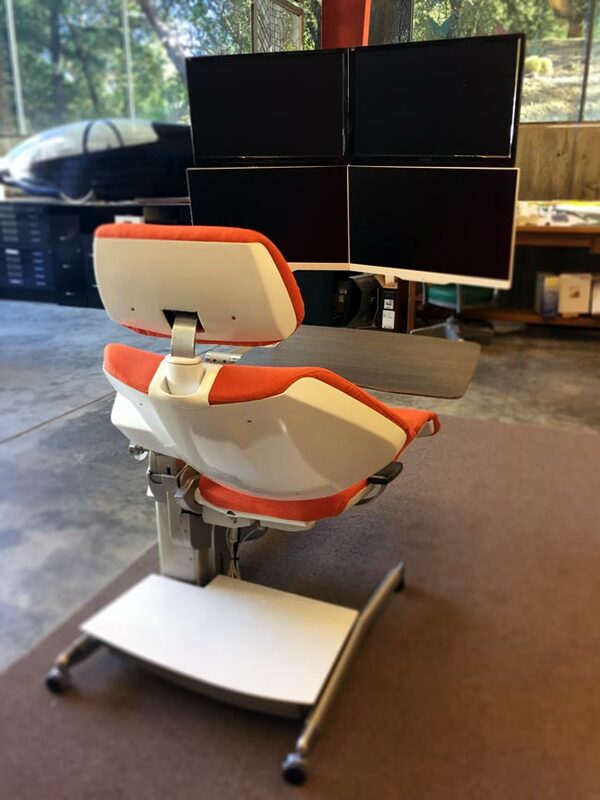 The company states that the workstation was tested with people ranging in height from 4’9″ to 6’8.” That covers a large number of the population, so you should have no problem using this.